This is the season for roasted vegetables and I make these balsamic ones almost every week. 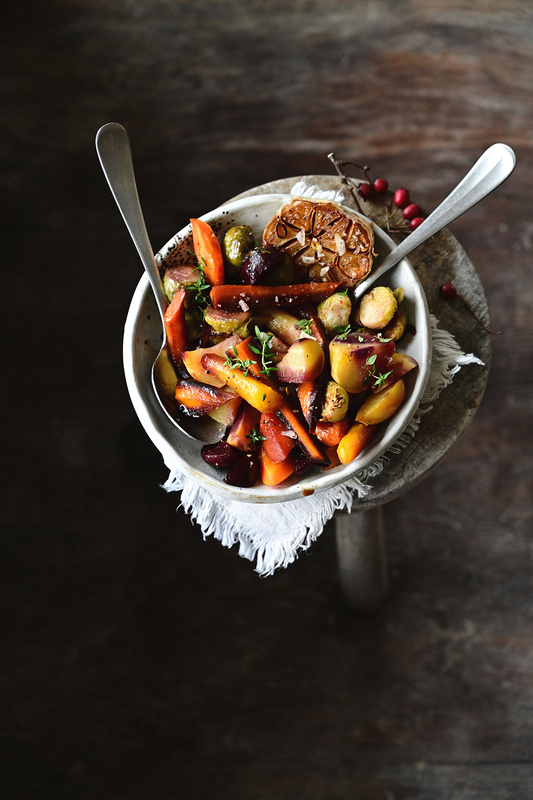 There is nothing better than the simple taste of roasted vegetables. They are drizzled with agave syrup, beautifully caramelized and get lots of flavor after roasting with balsamic vinegar and garlic. Since I typically aim to fill at least half of my plate with veggies, I roast vegetables in mass quantities. If there are any leftovers, I serve them tossed in a salad the next day. 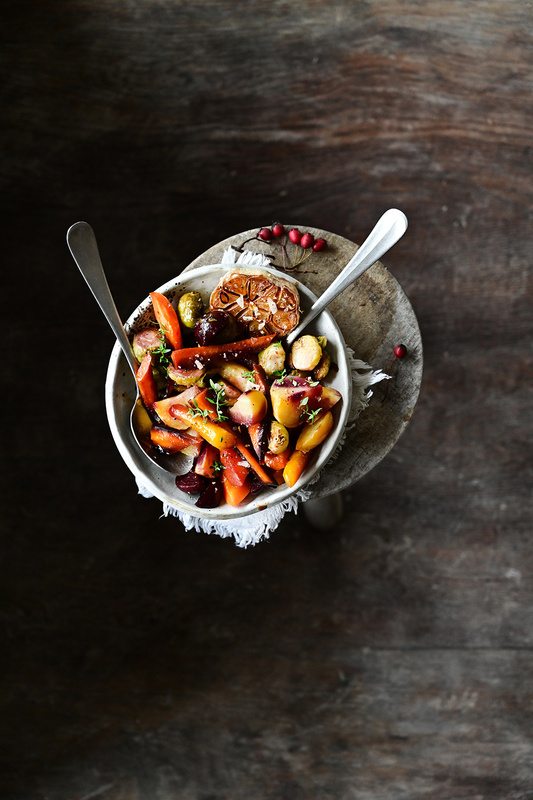 These roasted vegetables are great all on their own with bread or as a side dish with meat or fish – they will be a hit on your table. Transfer vegetables onto a baking sheet and combine with oil, balsamic vinegar, agave syrup and lemon juice. Season with pepper and sea salt, place fresh thyme on the vegetables. Bake for 30 minutes at 180 °C until the vegetables are cooked but still crispy. Season with salt and chilli flakes, finish with chili oil, syrup and balsamic vinegar. Enjoy! I love veggies and I love balsamic. This on my table would be happiness. I love your photos! We roast vegetables regularly they are so versatile! Roasted vegetables are so delicious, I am going to roast my next batch your way with balsamic and agave syrup to change up our usual recipe! I love roasted vegetables but haven’t heard of this twist before. I’ll have to give this a try! I’m so glad you like this recipe! Stunning photography and the recipe sounds fantastic.